Directions: From 401 south on Edward Street, to James Street, turn right and watch for signs. 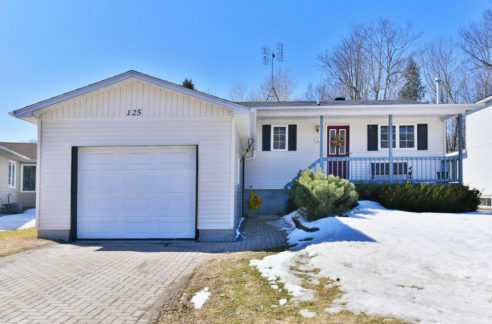 Public Remarks: All brick 3 bedroom bungalow with detached double garage. A great find in the Town of Prescott. Within walking distance of all amenities, including shopping, churches, and the wonderful waterfront of Prescott. Updated kitchen with ample room for kitchen table. Formal living and dining room. Full finished basement with laundry area. Private yard. Updates include windows 2008, including soffits and fascia, roof on house reshingled 2015, roof on garage and shed 2016, electrical panel 200 amp updated 2016, new driveway 2016. Reparge foundation 2017.